Everyone works with a chicken on their desk, right? 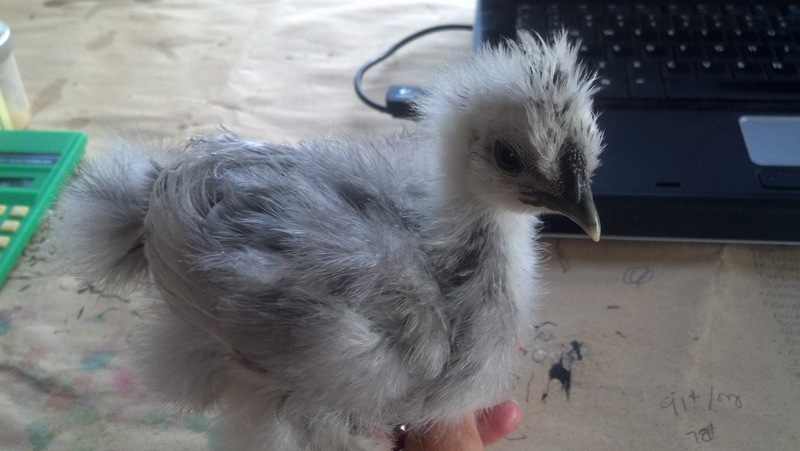 Our three Silkies are now nearly five weeks old now. 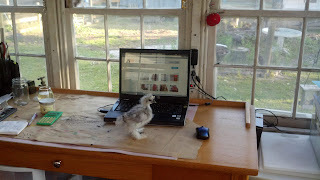 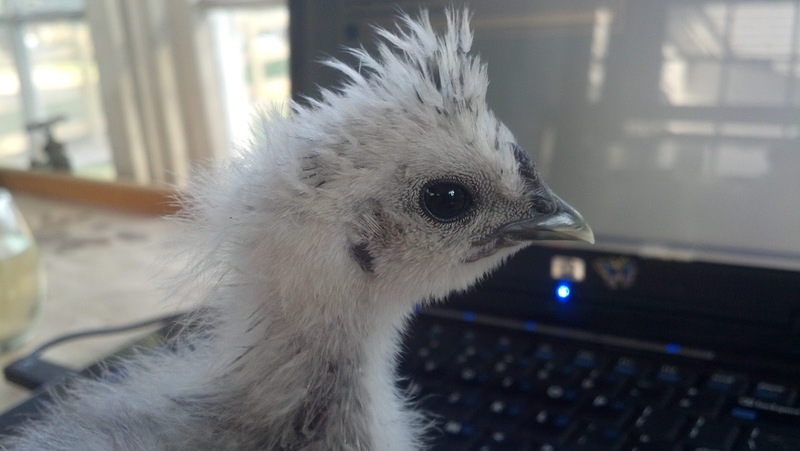 This one, a splash (who we've appropriately named "Splash"), spent the afternoon helping me work the other day... or supervising and pecking at the keyboard may be a better description. Working with a chicken is the best!! !